"I know there is a better way"
For over 20 years we have responded to your needs and wishes and have developed the most comprehensive charity golf event planner available today. 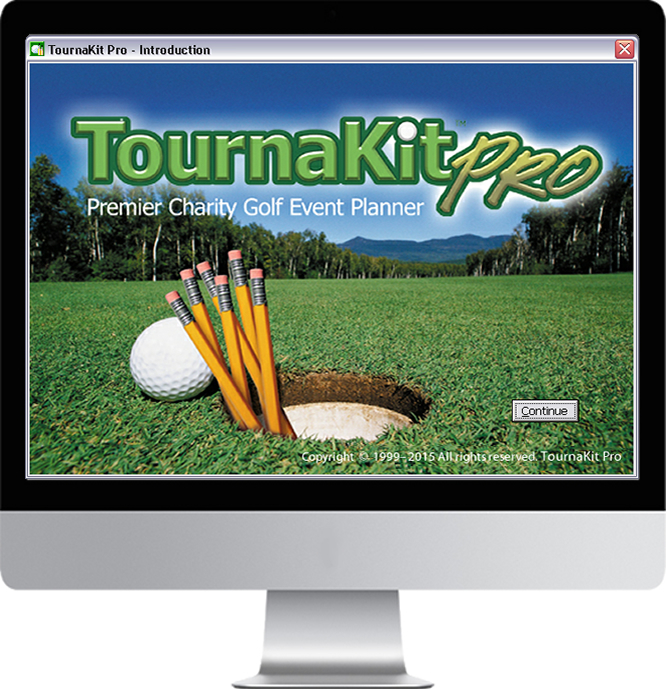 Capable of planning all types of charity events, TournaKit Pro addresses in detail the unique issues you will encounter when planning a charity golf tournament. If you are just starting out or you are a seasoned event planner this is the quickest way to get organized and boost productivity. You have been doing a good job using spread sheets and a word processor but things are getting out-of-hand. Start to make the process stress-free and manageable in less time. 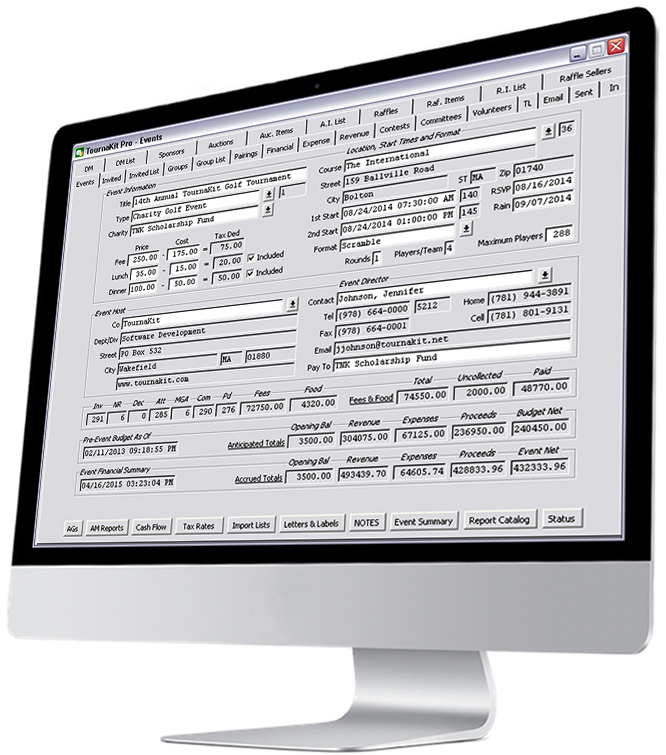 Take charge of your data and eliminate those spread sheets. Data drives everything so you have to make sure it's right. By working from a single point of control you can be confident your data is ready for action. TournaKit Pro is an integrated database application that get's installed and runs on your computer. Your data will be safe, secure and completely in your possession. "I want a long term solution not a web-based subscription." We pride ourselves in 'handing over the keys' to our customers. Our desktop software provides you security and independence. For two decades we have been designing database solutions. With TournaKit Pro our goal since day one has been to develop a charity golf planning tool that makes it easy from start to finish and all in one place. When the time comes for you to 'pass the baton' feel comfortable that everything they need is here. It is time to hit the pavement running with our time tested features, you will benefit immediately with professional results. Example: Compare Hole and Tee Box Signs sold, mulligans etc.